In addition to a new title in the Link to the Past universe, a number of other classic franchises are coming to the 3DS as well. Stalwarts such as Mario Party, Mario Golf, and Yoshi's Island are all in the works for the venerable handheld; Mario Party and Mario Golf: World tour are slated for release this summer, and winter respectively, with Yoshi's Island currently to be determined. In other 3DS news, a third Professor Layton title, Professor Laton and the Azran Legacy was announced for 2014. The vertiable flurry of 3DS announcements didn't end there, however. A new 3DS bundle, including Animal Crossing: New Leaf pre-installed was dated for June 9, Mario and Luigi: Dream Team was dated for August 11, two classic Gameboy Color The Legend of Zelda Games, The Legend of Zelda: Oracle of Seasons and The Legend of Zelda: Oracle of Ages are launching on the 3DS Virtual Console on May 30, Donkey Kong Country Returns 3D will be available on May 24, and Shin Megami Tensei 4 will be launching on July 16. Note that the initial run of SMT4 will include a 176 page limited edition combination strategy guide/artbook, a musical CD, and a slipcover. Perhaps the two biggest surprises of today's Nintendo Direct came from the reveal of the development of an english localized version of Square Enix's Bravely Default, slated for release sometime next year, and the announcement that fan favorite RPG Earthbound is finally(!) 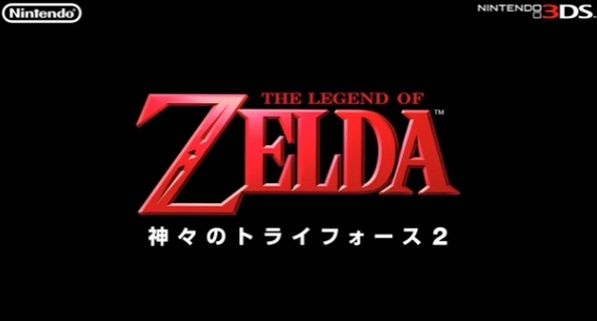 coming to the Wii U Virtual Console by the end of 2013. Other Wii U related news included a June 23 release date for Game & Wario, and an August 4 release (and nem ew Winged Pikmin type) for Pikmin 3. Lastly, the first of two previously announced system updates will be launching next week, which will include enhnaced loading times, as well as the official launch of the Wii U Virtual Console, and Panorama View. Hungry? Pizza Hut is Coming to an Xbox Near YouDid You Miss Us?